Beautiful two tone fuchsia pink and white with varying sizes of crystals on embroidery. Black and Silver sequinned leaves on bodice and skirt which enhances the stage presence. 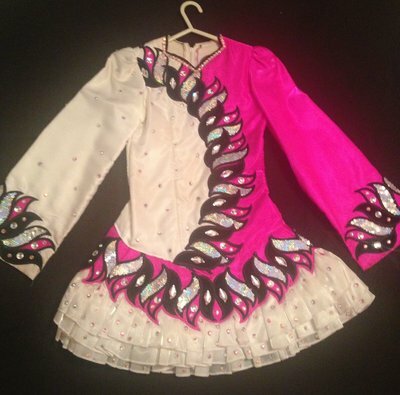 Approx 1 year old worn by 11-12 open champion dancer. Will suit tall, slim dancer. Immaculate condition.